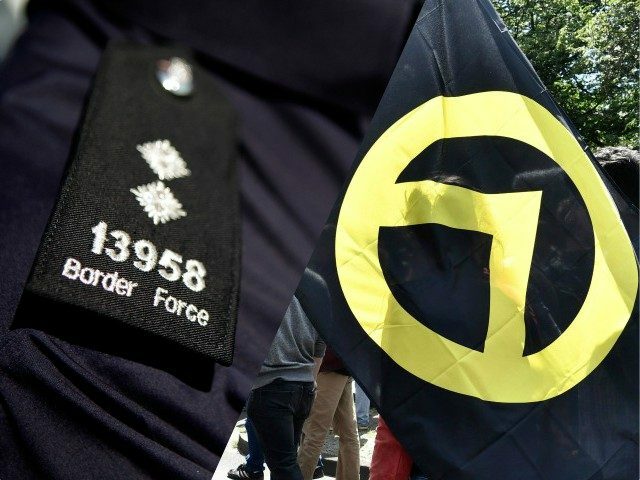 Breitbart London has obtained the official UK Border Force interview with Hungarian Identitarian leader Abel Bodi, who was refused entry to the UK Friday. The interview — which sees Bodi admit to opposing “Islamisation” — was used as “evidence” of the activist’s “extremist views”. The document, which is part of the overall package given to Bodi, contains 13 pages of questions asked by the UK Border Force including what Mr. Bodi’s beliefs are on mass migration, Islamisation, and other issues. The resulting answers were then given as justification for refusing to allow Bodi to enter the country to speak at the Generation Identity conference that took place the following day. Border Force Officer: What is the reason for you visiting the UK today? Bodi: The European Reunion Conference. BFO: When and where is this conference? Bodi: Tomorrow, but I don’t know exactly where. I only know it’s in London. BFO: The conference you’re going to this weekend. How many people will be there? BFO: Why don’t know know where it is? Bodi: Probably because of this reason, a safety reason. The people attending will have registered and they will probably hear about the location tomorrow. BFO: The conference this weekend- what is its aim? Bodi: It is a gathering. We come from all over Europe to speak to the UK guys. The UK movement is fresh, maybe half a year old. BFO: Why is it all a big secret? Bodi: The anti far right (note: Bodi claims he used the term “Antifa” not “anti far right”) are very aggressive and they may cause problems if they know where it is in advance. BFO: What is the aim of the conference? Bodi: The aim of the conference is to bring patriots together. We are not chauvinists or nationalists, this old fashioned stuff. BFO: When you have the conference what is the message to the people who aren’t patriots? BFO: What about people who aren’t British or Hungarian for example? Bodi: Security. I would like for illegal immigration to stop. BFO: What about a refugee claiming asylum? Bodi: It depends on the circumstances if someone is coming to claim asylum. BFO: There are people coming in illegally, why is that a threat? Bodi: They can do what they want. Crimes maybe. They can stay as long as they want. In Hungary in 2015 all the apples and grapes were eaten by illegal immigrants. This was before the fence was put up. BFO: How do you know it was illegal immigrants? Bodi: The police know but they don’t have any names or identities because they are here illegally. BFO: So what is the main viewpoint of GI, that anyone can legally migrate into a European country? Bodi: Yes anyone can legally come. BFO: Your speech indicates that you wish to stop further Islamisation, can you explain this? Bodi: They may want to aggresively push there (sp) ideologies. BFO: Why is it specifically Islamisation? Bodi: Now the illegal crowd have come from Islamic countries. I am not against Islam. I am against Islamisation. Any kind of aggressive spreading of beliefs is not ok. We want to invite an Imam to discuss this with us in Budapest. BFO: So is it specifically Islamic immigrants you don’t like? Bodi: No any illegal immigrants. The majority of illegal immigrants into Europe recently have been of the Islamic faith. BFO: The GI group in Britain, do they have links to other groups? Bodi: No they are an independent movement. According to the deportation letter received by Bodi, his anti-Islamisation views were the driving factor for his detainment. 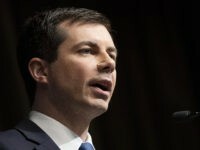 His refusal of entry comes only a month after fellow Identitarian Martin Sellner was rejected at the border alongside his partner, political commentator and author Brittany Pettibone. Sellner was set to give a speech on the topic of free speech at Hyde Park’s famous Speakers’ Corner in London but was detained for several days. His speech was later read out to a crowd of thousands by former English Defence League leader turned citizen journalist Tommy Robinson. Mr. Sellner was also scheduled to speak at the conference over the weekend and was detained by Border Force for a second time because, according to his denial of entry letter from the Home Office, he was in possession of “items which indicate your affiliation to extreme far right wing activity”. Just for the record. This was their „reasoning“ this time.